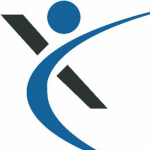 X10hosting is an integrated web hosting and site building platform. It allows users to create their domain name and optimize the ranking of their site through its available SEO tools. In this article, we cover X10hosting reviews and pricing. Ready to get started? Visit its website. As of the date this article was written (April 4, 2019), there are very few up-to-date positive reviews on X10hosting online. Some users said that it is ideal for basic websites. They also said that it is a good option for small businesses that need an affordable web hosting service. Users who gave X10hosting a negative review complained about the poor and slow customer support. A lot of users also complained about regular technical glitches that result in site lags and downtimes. One user who gave X10hosting a negative review on WHTOP said that he’s been using the program for 4 years, but recently noticed a steep decline in its quality of service. He reported that there have been times when he loaded his website and a completely different website appeared. He also complained about slow login times and generally laggy website dashboard. X10hosting pricing is based on two subscription options: Free ($0/month) and Premium ($6.95/month). The main difference between the plans is the availability of 24/7 customer support. X10hosting also offers two-year and three-year contracts. On top of the discounted prices, there are freebies as well including a yearly domain, an SSL certificate, and a dedicated IP address. Ready to get started with X10hosting? Visit its website. What are the available domain suffixes for X10hosting’s free account? Users who opt to sign up for a free account can use the following domain suffixes: .x10host.com, .x10.mx, .x10.bz, .elementfx.com, and .pcriot.com. What are the program scripts supported by X10hosting? X10hosting supports PHP, MySQL, and cPanel. Have you read these X10hosting reviews and are still not sure if it’s the right fit for you? 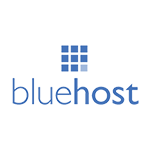 Read our reviews of all top web hosting providers or check out one of these three X10hosting alternatives.